Didier Deschamps said his France players had "a lot of fun" as they made it back-to-back Euro 2020 qualifying wins against Iceland on Monday. France got their campaign off to a routine start with a 4-1 win over Moldova on Friday and the world champions delivered another goal-laden victory upon their return to Paris as they brushed aside Erik Hamren's Iceland 4-0. Samuel Umtiti opened the scoring after 12 minutes and France had to wait until midway through the second half for a second – Olivier Giroud steering home from close range to become his country's third all-time goalscorer. Kylian Mbappe and Antoine Griezmann then added two fine goals late on as France turned on the style to wrap up the most comfortable of three points in the French capital. 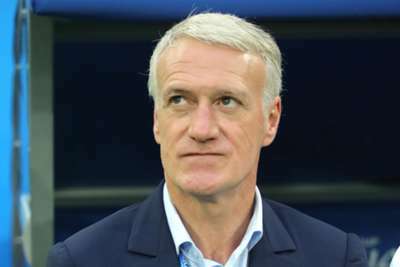 Deschamps admitted France struggled at the start of the second period but was delighted to see his rich array of attacking talent exploit the gaps in Iceland's defence as the game wore on. "They left more space when they got fatigued and we used that," head coach Deschamps told M6. "We found more openings in the second period even if our start in the second half was not our best. It is never easy with well organised teams, but I enjoyed watching them play. "The atmosphere was beautiful. The players had a lot of fun playing this game." France and Turkey are level on six points at the Group H summit and face off in Konya on June 8 – a game Griezmann said they will be well prepared for. "It was important to take six points," the Atletico Madrid star told reporters. "Now we're well placed. We are confident, no matter the amount of goals we score every game. The most important thing is to take three points and we did it twice, so we are very happy. "Our goal is to finish first. We know we would play some difficult games, like in Turkey. We will need to prepare ourselves well and deliver on the pitch."